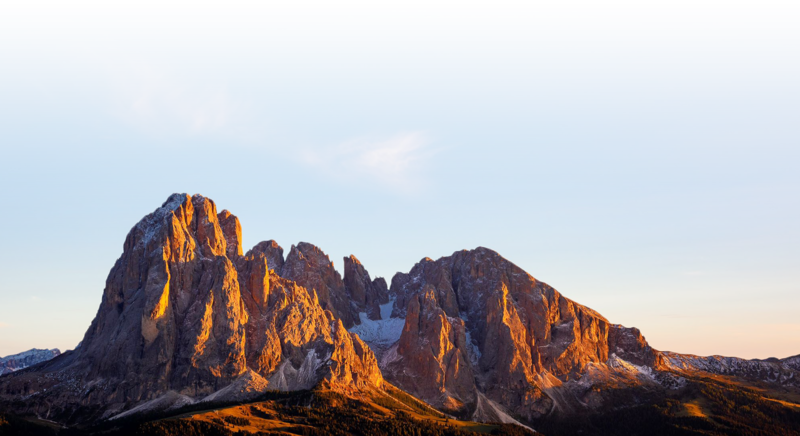 The Sassolungo mountain group in the western Dolomites is situated between Val Gardena, Val di Fassa, the Sella Group and the Catinaccio. It is considered the symbol of Val Gardena. The mountain is actually a collection of various peaks which stretch for around a kilometre from north-west to south east. Where today these peaks are to be found, was 230 million years ago, a shallow tropical sea and a coral reef. The majestic Sassolungo group, lures the eye even from afar, and it is no coincidence that it is one of the most photographed mountains.